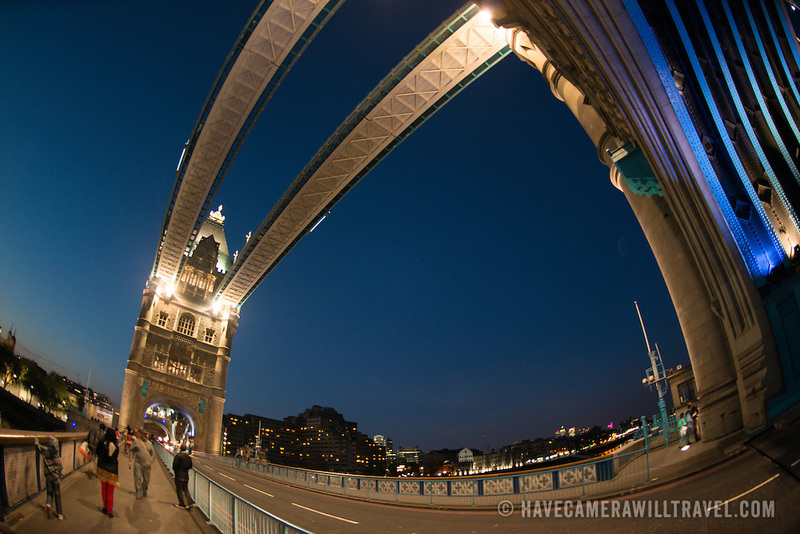 London's famous Tower Bridge at dusk. Constructed in the late 1800s, the ornate Tower Bridge is one of London's iconic landmarks. It gets its name from the nearby Tower of London on the northern bank of the River Thames.